After the federal general election of May 2011, some provinces found themselves facing the prospect of holding their provincial general elections simultaneously with the federal general election that will occur (presumably still) in October 2015. At the time, Saskatchewan, Manitoba, Ontario, Prince Edward Island, and Newfoundland & Labrador faced what would be, under Canadian norms, a logistical nightmare: amongst Canadian political parties, only the New Democratic Party is fully integrated at the federal and provincial levels, and support for one like party at the federal level does not always translate into support of the like party at the provincial level. Premier Wynne advised an early dissolution in May 2014, and her Liberals won a parliamentary majority. Therefore, Ontario’s next provincial general election is now scheduled for October 2018 and as of 2014, will not overlap with any federal general election (though this could change). But that leaves the other four provinces in a lurch. Faced with this problem, the legislatures of Manitoba, Saskatchewan, and Prince Edward Island have adopted amendments to their provincial fixed-date election laws such that their provincial general elections would be delayed under the following April if they would have otherwise coincided or overlapped with a federal general election in October. But Newfoundland & Labrador’s legislature never adopted such an amendment. Finally, Premier Prentice of Alberta is almost certainly going to advise a dissolution of the current legislature one year earlier than the scheduled; Alberta’s fixed-date election law currently mandates that the next general provincial election will occur between March 1 and May 31, 2016. Newfoundland and Labrador passed the second fixed-date elections law in Canada in 2004 by amending its House of Assembly Act and Elections Act. It is unique in Canada – and almost certainly unconstitutional, though it is unclear who would have standing in the courts to challenge it as such. Notwithstanding subsection (2), the Lieutenant-Governor may, by proclamation in Her Majesty’s name, prorogue or dissolve the House of Assembly when the Lieutenant-Governor sees fit. Section 3(2) sets the fixed election every second Tuesday in October, starting in 2007. Newfoundland held its second election pursuant to the fixed date in 2011 and scheduled to hold its third in October 2015. However, the law then adds its unique – and probably unconstitutional – innovation in section 3.1, “Election on change of Premier.” The law could also turn a political issue into a constitutional issue, and potentially even into a constitutional crisis. Where the leader of the political party that forms the government resigns his or her position as leader and as Premier of the province before the end of the third year following the most recent general election, the person who is elected by the party to replace him or her as the leader of the party and who is sworn in as the Premier of the province by the Lieutenant-Governor shall, not later than 12 months afterward, provide advice to the Lieutenant-Governor that the House of Assembly be dissolved and a general election be held. In Canadian law, shall is imperative and therefore means must. The law mandates that the Premier advise the Lieutenant Governor to dissolve the Assembly and thus infringes upon the constitutional relationship between the two. A statute law can no more forbid the Premier from advising the Governor to dissolve the assembly than it can force the Premier to advise the Governor to dissolve the assembly. Most interestingly of all, this section 3.1 is not subject to the non-derogation clause of section 3(1), which only applies to section 3(2). Under section 3(1), the Premier may advise an early dissolution, but under section 3.1, he or she must advise an early dissolution. Newfoundland and Labrador’s law therefore preserves the Premier’s discretion to advise an early dissolution, as do all the other fixed-date election laws, but it would prevent a Premier appointed mid-parliament from serving for the remainder of that parliament. Worse still, the law does not make provision for a Premier and party leader ousted by cabinet or caucus, for a Premier who dies in office, for a Premier who is dismissed by the Lieutenant Governor, or for a Premier who becomes incapacitated. The law could have avoided this ambiguity and the problematic omission of dismissal and death in office by remaining silent on the outgoing Premier and the manner of his or her resignation or dismissal, and instead focus exclusively on the incoming Premier. For instance, the law could have specified that “upon a change in Premier,” the new Premier give certain advice. While this would still be unconstitutional, it would at least maintain the virtue of covering a greater array of possible situations. On 22 January 2014, Kathy Dunderdale announced that she would resign as Premier of Newfoundland and Labrador. Normally, the outgoing Premier would not formally tender her resignation until after the party had held a leadership convention and elected a new leader. But the Progressive Conservative Party of Newfoundland and Labrador took the unusual step of forcing Kathy Dunderdale’s immediate resignation as party leader, and therefore also as premier, so that the Lieutenant Governor could appoint the Finance Minister, Tom Marshall, as “Interim Premier.” Marshall has indicated that he will only serve as Premier for “a few months,” after which he will resign the leader of the Progressive Conservative Party and the premiership in favour of whomever the party selects as its new leader. That leadership convention, originally scheduled for July 2014, was delayed until September 2014. On 13 September 2014, the Progressive Conservative Party elected Paul Davis as leader; after a transition of 13 days, Marshall resigned, and the Lieutenant Governor appointed Paul Davis as Premier. Section 3.1 states that a new party leader and premier must advise the Lieutenant Governor to dissolve the legislature within twelve months only if he or she is appointed “before the end of the third year following the most recent general election.” In this case, that timeframe would apply to a premier appointed before October 2014, since the last provincial general election occurred in October 2011 and the next is scheduled for October 2015. But it remains unclear whether the point of reference for this requirement hinges upon Tom Marshall’s appointment on 24 January 2014, or, rather, upon Paul Davis’s appointment on 26 September 2014. Since Tom Marshall served as “Interim Premier” for only 9 months, has Premier Davis inherited those 9 months such that he would have to advise an early dissolution within 3 months of his appointment, or, alternatively, does the timeline for this requirement reset upon his appointment and thus give him 12 months? The answers to these questions remain unambiguous and unclear because this faulty fixed-date election law did not account for all the possible types of transitions from one Ministry to another. Under the first interpretation, Premier Davis would have to advise an early dissolution by January 2015 for an election in February or March 2015. Under the second interpretation, Premier Davis could wait until September 2015 before advising the Lieutenant Governor to dissolve the current legislature – even though the law would have mandated that the next provincial general election take place in October 2015 irrespective of the date of his appointment. If the second possibility is correct, then the procedure under section 3.1 is redundant in this case because it would force the Premier to advise the Lieutenant Governor to dissolve the legislature and call an election on the timetable when the fixed-date election would have occurred anyway. I would posit that the first interpretation is correct, and that Premier Davis must advise dissolution in January 2015 because he inherited this requirement from his predecessor, Tom Marshall; Wikipedia, however, disagrees. In conclusion, while Newfoundland & Labrador’s fixed-date election law is unconstitutional, it will remain in force unless and until a court recognizes its unconstitutionality and strikes it down as ultra vires of section 41(a) of the Constitution Act, 1982. And as long as the law remains on the books, the Premier must abide by it. But Premier Paul Davis might have already breached this law by failing to advise an early dissolution. And even if Premier Davis has not violated the terms of the act, Newfoundland & Labrador is currently scheduled to hold its next provincial general election in October 2015 concurrently with the federal general election. Despite all this obvious confusion, the law and its implications have generated little to no discussion on The Rock. At this stage, the legislature of Newfoundland and Labrador should amend its fixed-date election law as those of Manitoba, Saskatchewan, and Prince Edward Island have done. It should also repeal section 3.1, which is at best ambiguous and confusing and at worst is unconstitutional and ultra vires of section 41(a) of the Constitution Act, 1982. If the legislature insists on keeping the provision, it should at least simplify it so that it covers any and all mid-parliamentary changes of government. Nothing in this section affects the powers of the Lieutenant Governor, including the power to dissolve the Legislature at the Lieutenant Governor’s discretion. Despite clause (2)(b), if the election period for a general election to be held in October under that clause will, as of January 1 of the year of the election, overlap with the election period for a general election to be held under subsection 56.1(2) or section 56.2 of the Canada Elections Act, the general election must be held instead on the third Tuesday of April in the next calendar year. Manitoba pioneered this ad hoc amendment of delaying the provincial general election by six months if it happened to coincide with a federal general election, and Saskatchewan and Prince Edward Island later adopted it. However, Manitoba’s law contains an interesting detail that Saskatchewan’s and Prince Edward Island’s do not. Manitoba held its last election on 4 October 2011; in the absence of a federal general election, the next provincial general election would occur in October 2015. However, Elections Manitoba announced on 5 January 2015 that the next provincial general election will occur instead on 19 April 2016 because as of 1 January 2015, the next federal general election was still scheduled to occur in October 2015. The wording of Manitoba’s fixed-date elections law – particularly that clause “as of January 1 of the year of the election” – means that even if Prime Minister Harper decides to advise an early dissolution so that the federal election occurs before than the scheduled date in October 2015, thus preventing the federal general election and Manitoba’s provincial general election from coinciding, Manitoba’s next provincial general election will still occur in April 2016. Once again, fixed-date election laws have served only to complicate matters. They are worse than redundant: they are, in fact, a general nuisance. In addition, the Legislative Assembly of Manitoba has extended its own life from 4 years to 4.5 years – and thus also helped prop up a beleaguered Premier Selinger, who last year faced the resignation of 5 of his cabinet ministers in a joint press conference and who just narrowly won re-election as leader of the New Democratic Party of Manitoba. Rather than fixing the election on a precise day of the month, section 38.1(2) builds in a flexible date “within a three-month period beginning on March 1, 2012 and ending on May 31, 2012.” Subsequent elections will fall within that range of three months every four years. The next general provincial election is thus scheduled to take place between March 1 and May 31, 2016. However, Premier Jim Prentice has been preparing himself for the last few months to advise an early dissolution this month, in March 2015, so that he can obtain a mandate from Albertans on his government’s upcoming budget. 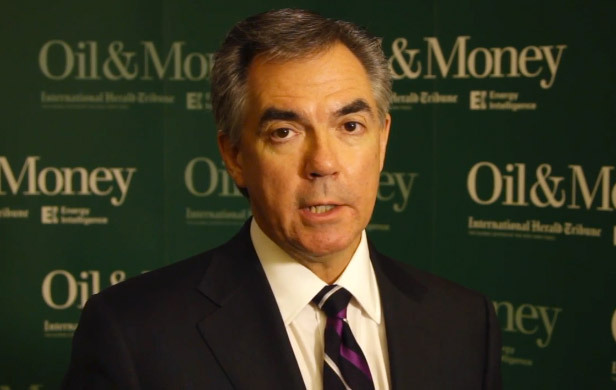 More generally, Prentice will also seek a mandate for himself because the Lieutenant Governor appointed him mid-parliament after a furore and personal controversy involving Premier Redford. I think Albertans need to have a say in that, I think they need to be consulted. […] It would be irresponsible to not give them the final say in terms of whether they agree with that or not. I’ve not chosen when an election will happen but I do think a premier and a government facing these kinds of exigent circumstances needs to have the strong support of Albertans. I’m the one who’s got to sign off on the Order in Council and I would think that it would be represented by the premier as having the confidence of the house. If he has the confidence of the House, then I really don’t have any argument with that. [Albertans] just want the government to get on with business so if that means dissolving and going for an election then so be it, but that’s a political decision, not mine. Premier Prentice will undertake an American-style “address the nation” televised speech this evening in what will necessarily amount to a pre-writ campaign speech and appeal to Albertans to support his government’s upcoming budget. Prentice’s Progressive Conservatives all but destroyed the Wild Rose Party as an effective opposition and alternative government in December 2014, when their former leader, Danielle Smith and several of her colleagues crossed the floor to join the Progressive Conservative Party and the government; he will almost certainly secure re-election with another parliamentary majority this spring. All of the provincial fixed-date election laws contain the same non-derogation clause preserving the establishing constitutional relationship between the governor and first minister, so theoretically, the media should have criticized Premier Marois and Premier Wynne last year for advising early dissolutions in their respective provinces, and they should be criticizing Premier Prentice for preparing to do the same. But most journalists have hardly mentioned the fixed-date election laws at all, and if they do, they now acknowledge, correctly, that they do not prevent the first minister from advising and receiving an early dissolution. The Canadian media have thoroughly moved on from their erroneous refrain in 2008 that “Harper broke his own law” when he advised an early dissolution. Even now, I still can’t help but wonder whether the furore that they generated in 2008 was primarily partisan, and I still suspect that a Liberal Prime Minister would not have met the same vociferous criticism – though this is ultimately an unverifiable hypothesis. It is also possible that the highly charged atmosphere of those hung parliaments between 2004 and 2011 prompted the media narrative of the time. At this stage, I’m just thankful for some more neutral and informative coverage of these early provincial elections. But I still think that all the fixed-date election laws should be repealed, since they do nothing substantive except shorten the life of a parliament or legislative from five years to four (or four and one half under some conditions in Manitoba, Saskatchewan, and Prince Edward Island) – and even that measure was unnecessary. Overall, they only complicated matters, and the provinces in particular have shown that legislatures must frantically adopt ad hoc amendments to them in order to prevent political inconveniences. With the legislatures able to modify or repeal these laws, and the first ministers still able to advise and receive early dissolutions, fixed-date elections are fixed until they are not. Newfoundland and Labrador, House of Assembly Act, RSNL1990, Chapter H-10. Newfoundland and Labrador, House of Assembly. An Act to Amend the House of Assembly Act and the Elections Act, 1991, 45th General Assembly, 1st Session, 53 Elizabeth II, 2004. Newfoundland and Labrador, House of Assembly. Bill 40: An Act to Amend the House of Assembly Act and the Elections Act, 1991, 45th General Assembly, 1st Session, 53 Elizabeth II, 2004. Interpretation Act, R.S.C. 1985, c. I-21; Ruth Sullivan, Statutory Interpretation (Toronto: Irwin Law, 2007), 73. John Pepall, Against Reform (Toronto: University of Toronto, 2010), 155. Globe and Mail, “Newfoundland Tories Re-Start Leadership Contest with September 13 Vote,” 20 June 2014. http://www.theglobeandmail.com/news/politics/newfoundland-tories-restart-leadership-contest-with-sept-13-vote/article19257468/ [Accessed, 24 November 2014]. Sue Baily, “Paul Davis to Become Next Premier of Newfoundland and Labrador,” Globe and Mail, 13 September 2014. http://www.theglobeandmail.com/news/politics/newfoundlands-pc-leadership-vote-heads-to-third-ballot/article20593075/#dashboard/follows/ [Accessed, 24 November 2014]. Sue Baily, “New Newfoundland and Labrador Premier Vows Action on Crime and Mental Health,” Globe and Mail, 26 September 2014 http://www.theglobeandmail.com/news/politics/newfoundlands-new-premier-vows-action-on-crime-mental-health/article20815567/#dashboard/follows/ [Accessed, 24 November 2014]. Wikipedia, “49th Newfoundland and Labrador General Election.” http://en.wikipedia.org/wiki/49th_Newfoundland_and_Labrador_general_election [Accessed, 24 November 2014]. Manitoba, Legislative Assembly. The Election Financing Act and Elections Amendment Act. Bill 33, 40th Legislature, 1st session, 2012. Elections Manitoba, “Manitoba’s Set Date Election Moves to April 2016,” 5 January 2015. Alberta, Legislative Assembly. An Act to Amend the Election Act, Bill 21. 27th Legislature, 4th Session, 2011.